Happy Anniversary, Bob the Undertaker! 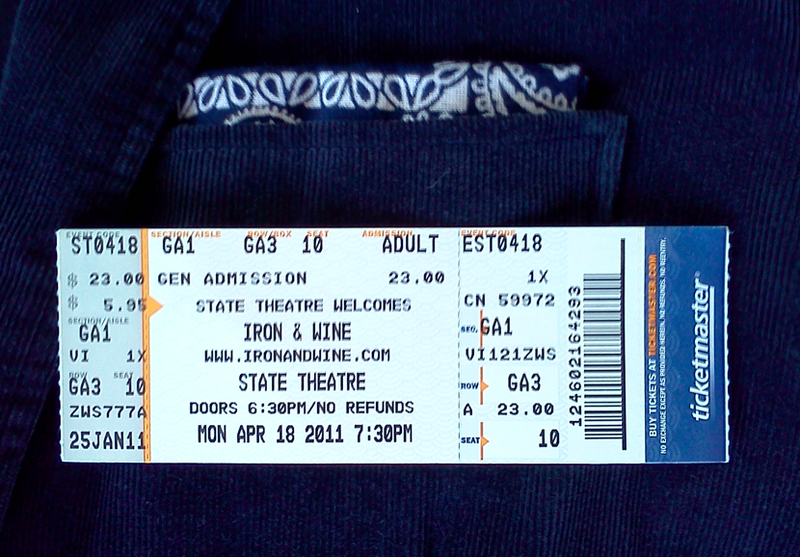 I met Bob two years ago at an Iron & Wine show at the State Theatre in Portland, Maine. He was concerting alone (my specialty), and my then pregnant friend Kristin and I went together. I said something to him about his velvet jacket. He told me it was corduroy, actually, and I complimented him on the fine wale. We’ve been music buddies ever since. We chatted in between the acts that night, and he invited me to take his extra ticket to see Adele with The Civil Wars a few weeks later. Of course I went, and the rest is history. Happy anniversary, Bob! You are an amazing music buddy! I always look forward to his texts about upcoming shows, albums, and late night music appearances. And these messages come at odd hours because he works with dead people. Totally normal, right! ?